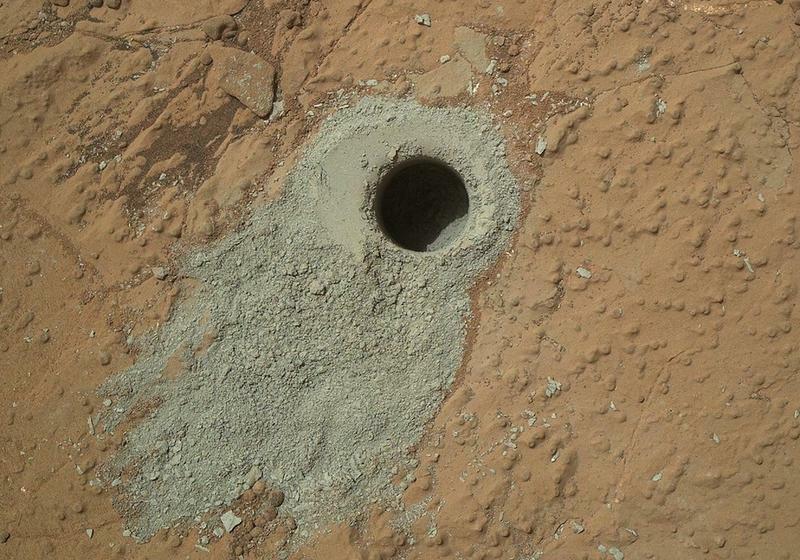 NASA's Mars Curiosity has again drilled into the barren Martian planet, puncturing a section 2.6-inches deep. The rock, known as Cumberland, gave NASA researchers the opportunity to remove a powdered sample that will then be delivered to Curiosity's onboard analyzing instruments. NASA previously drilled into Mars back in February. When NASA analyzed Curiosity's first sample, results concluded that the planet could have potentially supported microbial life. The purpose of the rover's most recent drilling is to confirm those earlier results; the sample is expected to be analyzed in the next few days. Curiosity's endgame is still to explore Mount Sharp, which researchers believe show heavy sign of water exposure. Like the last drilling, Curiosity will send the sample through its bit assembly chambers, and then transfer it to the handling mechanism where sorting will take place. After filtering out particles over a sieve, Curiosity's Chemistry and Mineralogy instrument will analyze the sample. NASA's latest rover project has turned up promising results in man's pursuit to learn more about the Martian planet. In addition to Curiosity, NASA's Opportunity rover found more evidence of water recently by studying an area researchers believe was "intensely altered by water." Once the Cumberland samples are analyzed, Curiosity is expected to make the file-mile trek to Mount Sharp, which NASA officials say could take months.